winnie harlow Photos, News, and Videos | Just Jared Jr.
Shay Mitchell Joins Peyton List at Revolve Festival 2019! Shay Mitchell looks so cool as she arrives at day one of the Revolve Festival on Saturday afternoon (April 13) at the Merv Griffin Estate in La Quinta, Calif. The 32-year-old actress went edgy in a black outfit as she stepped out for the 2019 Coachella Music Festival party. Other stars at the party included Victoria Justice, Peyton List, models Stella Maxwell, Jasmine Sanders, Jasmine Tookes, Olivia Culpo, Sara Sampaio, Shanina Shaik, and Winnie Harlow. Hitting the stage for performances during the party included SZA and 2 Chainz. FYI: Vicotria is wearing Topshop. Billie Lourd & Tommy Dorfman Have a Blast at Coachella 2019! 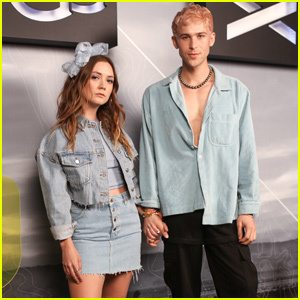 Billie Lourd and Tommy Dorfman were the cutest duo while kicking off the 2019 Coachella Music Festival! The duo stepped out for the Ugg + Desert X party on Thursday night (April 11) at Villa Royale in Palm Springs, Calif. They were also joined at the event by actor Patrick Schwarzenegger and models Slick Woods and Winnie Harlow. Before the event, attendees journeyed around the desert to experience various art installations from renowned artist, Iván Argote. “road tripped w @ugg to see all the @_desertx spots. the pink hole structure came for my wig but whatever we still vibed,” Tommy wrote on his Instagram after the event. Zendaya is joined by tons of famous friends at her Tommy x Zendaya Fashion Show on Saturday night (March 2) at the Theatre des Champs-Elysees in Paris, France. The 22-year-old actress looked pretty in a gray suit as she was supported at the debut of her collection with Tommy Hilfiger by Gigi Hadid and Yara Shahidi. Other stars at the show included grown-ish actor Luka Sabbat, racer Lewis Hamilton, and models Larsen Thompson and Jasmine Sanders. Walking in the show was Winnie Harlow – who donned a red and white striped dress for the runway. Sam Smith shows off his best dance moves at the 2019 BRIT Awards! The “Too Good at Goodbyes” crooner and model Winnie Harlow took the stage at the event held at The O2 Arena on Wednesday (February 20) in London, England. Sam belted out “Promises” alongside Calvin Harris. Sam also received a nomination for British Male Solo Artist, but lost to George Ezra. 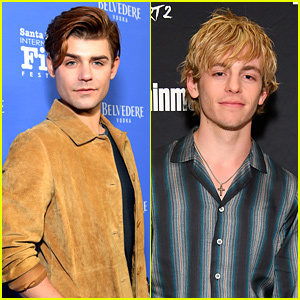 Watch clips from Sam‘s performance here and here, and be sure to check out his red carpet look as well if you missed it! Bella Thorne & Lana Condor Sit Front Row at Prabal Gurung's NYFW Show! Bella Thorne and Lana Condor are taking in all of the best shows at New York Fashion Week! The ladies were seated in the front row at the Prabal Gurung show on Sunday (February 10) at Spring Studios in New York City. 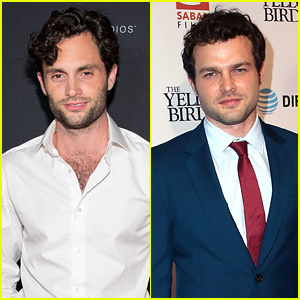 Joining them at the event were Bella‘s sister Dani, Westworld actress Angela Sarafyan, and Pose stars Billy Porter, MJ Rodriguez, and Ryan Jamaal Swain. Some of the famous models who walked the runway during the show included Bella Hadid, Taylor Hill, Winnie Harlow, and Candice Swanepoel. “Thank you @troublewithprabal for your energy, your heart, your talent and most of all, your friendship. I am so lucky I am able to watch you work. Thank you for making this magical dress,” Bella H. wrote on Instagram. 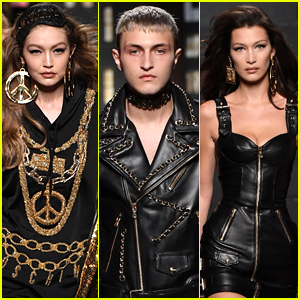 The Hadid Siblings Strut the Moschino X H&M Runway! Gigi Hadid opens the Moschino X H&M fashion show on Wednesday night (October 24) at Pier 36 in New York City. The 23-year-old model was joined on the runway by her younger siblings Bella and Anwar – who both rocked leather looks for the show. Other models on the runway included Taylor Hill, Joan Smalls, Stella Maxwell, Candice Swanepoel, Naomi Campbell, and Winnie Harlow. The Moschino x H&M collaboration launches at select stores worldwide and online at HM.com on November 8.